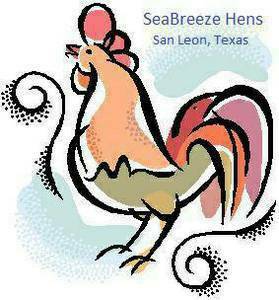 SeaBreeze Hen Chicken Delivery is scheduled for each month with occasioal additional deliveries.. See the schedule below. The farm is open on delivery day as well. The next Delivery will be Sunday April 14, 2019. Please be on time for pick-up as the driver will have a tight schedule to keep. Delivery Fee is $15 per order . We will deliver baby chicks and older chickens as well as feed and supplies. For older birds, I will accept orders starting 10 days prior to delivery day. For new hatch chicks, you can order as early as you want. I will accept orders until 7 pm the day prior to delivery. Send an email with your delivery order request with your delivery location and phone number to seabreezehens@gmail.com. You will receive an online invoice via email along with specific delivery day pick-up information.